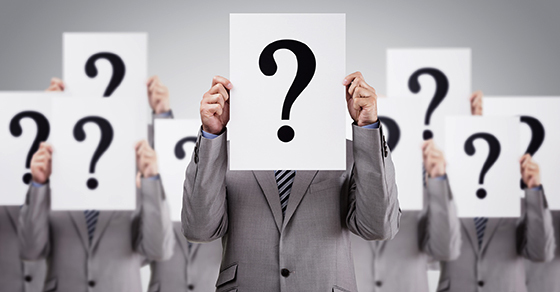 Should 360-Degree Performance Evaluations Be Anonymous? It’s no surprise that 360-degree performance evaluations have grown in popularity. We live and work in an age of data — the more, the better, to avoid inaccurate assessments based on biases or small sample sizes. Under the 360-degree model, an employee is evaluated by not only his or her supervisor, but also by direct reports (if applicable) and peers. Sometimes even vendors or customers, too. The result is a wealth of data that, when gathered and analyzed properly, provides a much fuller picture about an employee’s performance. However, one question that typically arises among employers using this approach is: Should we keep the feedback gathered anonymous or should everyone know who’s saying what? Traditionally, 360-degree programs have been based on anonymity. This allows those providing the feedback to give more than neutral or vaguely favorable comments out of fear of negative repercussions or at least awkward moments in the break room. Indeed, advocates of the anonymous approach say it’s long been the most common method of gathering 360-degree feedback because many people — especially those in nonsupervisory roles — have difficulty giving others truly candid, constructive feedback. Employees often choose unclear wording to avoid insulting the subject, or they simply say nothing and pass up the opportunity to give helpful insights, undercutting the point of the whole process. Anonymity provides a secure environment in which to “speak freely” (it’s usually written) and go into details about shortcomings in someone’s performance that might be hard to verbalize. Of course, on the downside, it also frees contributors from accountability for what they say and leaves employers unable to follow up on ambiguous or troubling feedback. Maintain accountability. Employees know that they may have to provide further explanation for feedback that’s imprecise or harsh. This helps prevent toxic comments and even conspiracies that can damage a co-worker’s reputation. Encourage a culture of openness. Some organizations engage in a much more direct approach to hashing out ideas and resolving conflicts. Also, for smaller organizations (say, a family-owned business), there may be little point in trying to keep feedback anonymous. Enable supervisors to resolve a specific complaint or concern. Anonymous feedback can hinder efforts to resolve an issue. Those in favor of the non-anonymous approach say that assigning names to comments creates a direct route to solving problems and avoiding crises. Whether your 360-degree performance evaluation process should be anonymous or non-anonymous warrants careful consideration. Of course, you can always change your mind and revise the process — though you’ll need to communicate such a revision clearly. Our firm can provide further information on getting an optimal return on investment from your workforce and evaluations.